Coming back home after receiving treatment for a spinal injury, whether that be straight from hospital or from a rehabilitation centre, can be a daunting experience for both the individual and their family. We have a team of staff who are trained to work on all aspects of spinal injury care packages. We provide a bespoke care package for all of our clients, once we have been commissioned to look after your care we will liaise with you, your healthcare professionals and your family to ensure the care package is right for you. We want you all to feel confident with the care package that we are providing. All of our carers receive ongoing specialist training, as well as in-house training by the dedicated Routes training team to ensure they provide the high standard of care you can expect from Routes Healthcare. As well as providing the medical side of care, our teams are also there to help you maintain your independence as much as we can. Read our Case Studies to find out more about Spinal Injury care packages. 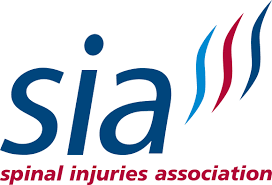 The Spinal Injuries Association (SIA) is the leading national user-led charity for spinal cord injured (SCI) people. They provide key services to share information and experiences, and to campaign for change ensuring people can lead a full and active life. The Back Up Trust inspire independence in anyone affected by spinal cord injury and to encourage everyone to get the most from their lives. They rely on a vital family of volunteers, mentors and skilled professionals, who provide unrivalled support and enthusiasm and who to deliver services that rebuild confidence and self-belief.